1. Bring 1 liter water to a boil. Add gnocchi. Let simmer until they float. Drain. 2. Heat 1 tablespoon olive oil in a large non-stick skillet. Carefully add gnocchi. Saute, stirring often, until the gnocchi begin to brown. Remove from the skillet, cover and keep warm. 4. Add garlic. Stir often, for 1-2 minutes. The onions should be just starting to turn brown. 5. 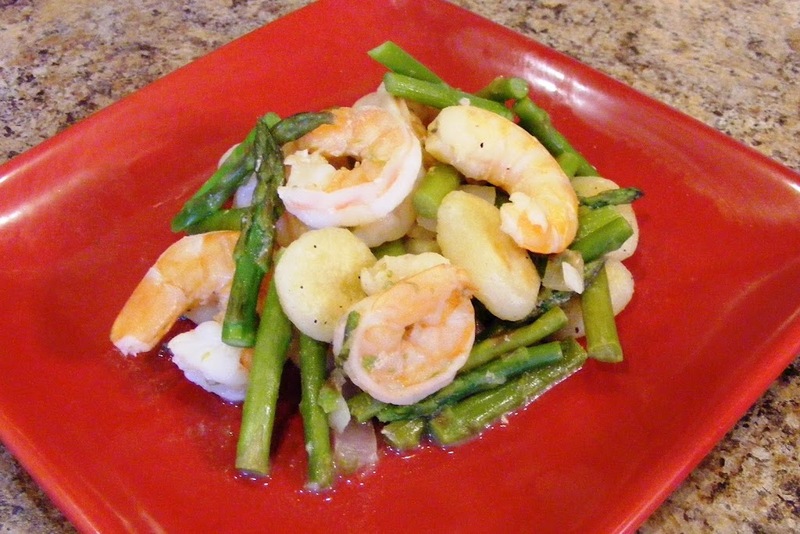 Stir in asparagus, broth and wine, turn heat to medium-high. Cover and cook until the asparagus are just beginning to get tender. In case you are wondering the meaning of scaloppine, it generally refers to very thin slice of meat (usually veal or chicken), dredged in flour, sauteed and served with a sauce. 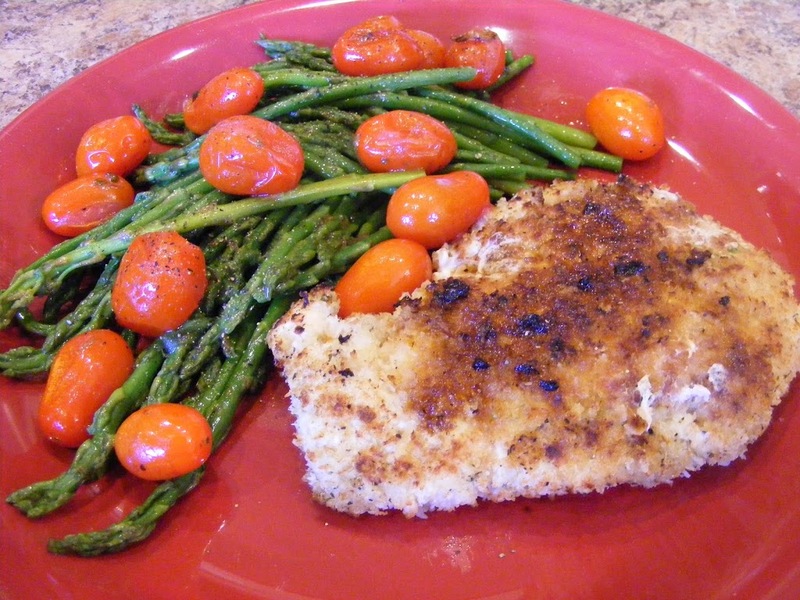 This recipe uses whole chicken breasts that I pounded flat and panko bread crumbs for the breading. 2. Mix the panko crumbs and seasoning to taste. I used about 1 teaspoon of the Sunny Spain. 4. Run the breasts through the egg wash, and then dredge in crumbs. Set aside. 5. 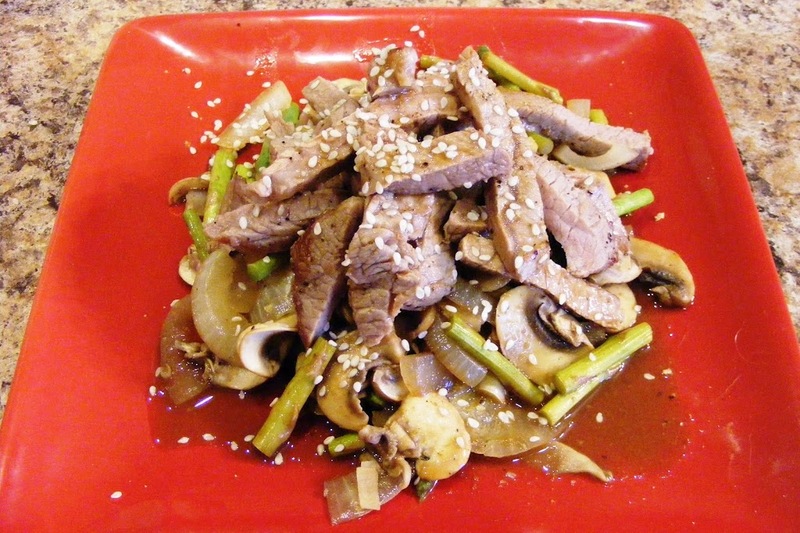 Preheat a non-stick skillet over medium-high heat. Spray with cooking spray. 6. Pan fry on each side until done (3-4 minutes per side.) Remove from the skillet, set aside and cover. 7. Respray the same skillet and return the the heat. 8. 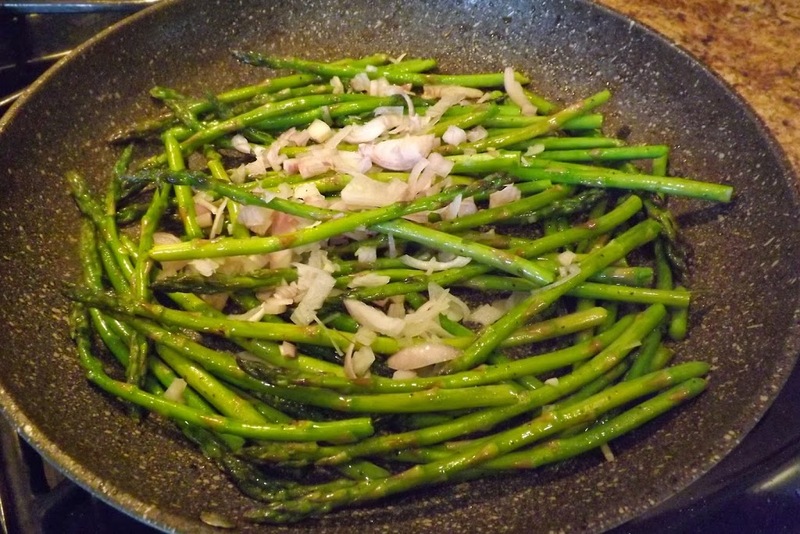 Lay asparagus in skillet. Season to taste (again, Sunny Spain works well here.) Cook for about 2 minutes over medium-high heat, turning once halfway through. 9. Add whole tomatoes to the asparagus. Continue to cook until the tomatoes begin to burst and get soft. I did not serve this with a sauce, but you could certainly make a red sauce, or deglaze the pan after cooking the chicken with about 6 ounces of white wine, and cook that down to 4 ounces and serve over the chicken. 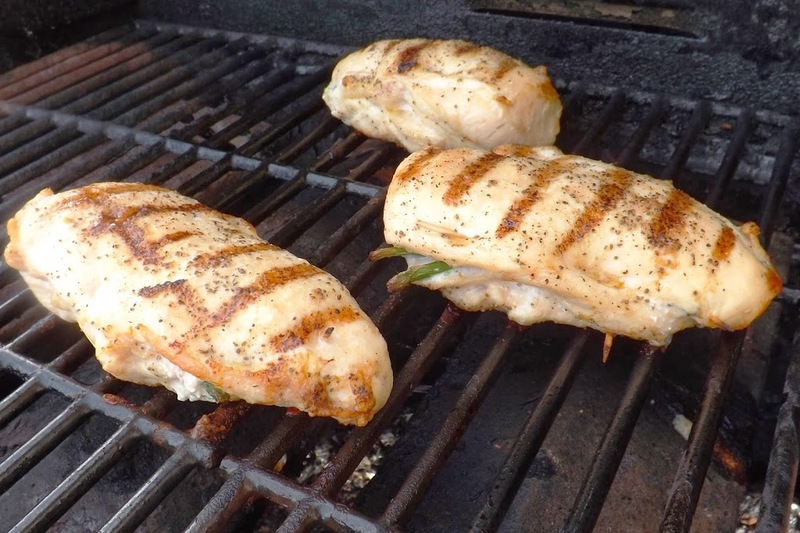 However, in my opinion, the chicken is moist and flavorful and does not need to be sauced.